Please Come to a Community Conversation! Two sessions: 2:00 or 7:00 p.m. on Thursday, March 14. The purpose of this event is to invite our members and friends to sit with us and discuss these issues or any other issues. The Policy Board values your voices and wants to hear what you think. On Sunday morning, June 24th at 9:00 and 11:00, UUS:E welcomes the Rev. Chris Antal, a former military chaplain who courageously spoke out against United States drone warfare policies while stationed at Kandahar Air Force Base in Afghanistan. Read a short biography of Rev. Antal here. Read his “A Veteran’s Day Confession for America” here. Rev. Antal joins us courtesy of the Interfaith Network on Drone Warfare. For a fascinating look into the impact of drone warfare on drone pilots, see Eyal Press’s June 17th New York Times Magazine article, “The Wounds of the Drone Warrior,” which mentions Rev. Antal’s work. 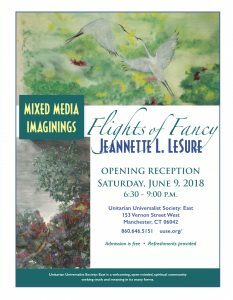 An opening reception for the art show “Flights of Fancy: Mixed Media Imaginings” by Jeannette LeSure will be held at the Unitarian Universalist Society: East (UUS:E) on Saturday, June 9th, from 6:30 to 9:00 p.m. Jeannette’s watercolor collages are inspired by nature, but filtered through dreams and imagination–a celebration of nature in New England. Her muses? Her sister, Jean Ellen, was an artist and taught her to draw, Eric Carle sparked her decision to collage with her painted papers, and the Impressionists in general spoke to her soul. Jeannette’s mother, however, is the one who launched her spirit and instilled the conviction that magic and miracles lie under every leaf, in every tree, and just over the hill. The event is free and refreshments will be served. UUS:E is located at 153 Vernon Street West, Manchester, CT.
A “Know Your Rights” workshop led by Cressy Goodwin will be held at Unitarian Universalist Society: East on Thursday, June 14 at 3:00 PM and again at 5:00 PM. Surcari is a performance group originally from Chile and Puerto Rico, under the direction of guitarist Lorena Garay. 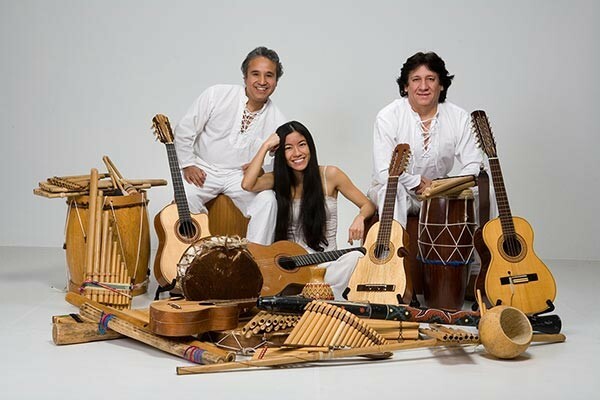 They perform a blend of traditional and original Latin American music on a wide variety of musical instruments. Tickets will go on sale starting on April 8 after church services and will also be available at the door. Prices are $20 adults, $18 seniors and youth, $10 ages 10-18 and under 10 free. Please notify Sue McMillen if child care is needed by April 22. In observance of the 50th anniversary of the assassination of the Rev. 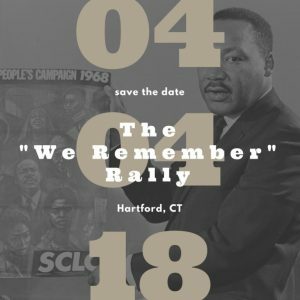 Dr. Martin Luther King, Jr., people from around the state will gather for a “We Remember” rally. Along with similar rallies across the country, we will be announcing the rebirth of Rev. King’s Poor People’s Campaign, and calling for our state and our nation to finally and seriously address the root causes of poverty. The rally begins at 4:00 PM on April 4th outside the CT Supreme Court building, and will continue with various activities until approximately 7:00 PM. Questions? Contact Rev. Josh Pawelek at revpawelek@gmail.com or 860-652-8961. Andrew McKnight is an Americana artist. 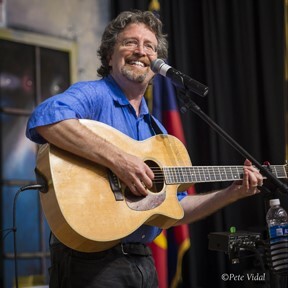 He performs songs and tells stories influenced by old-time Appalachia to contemporary blues and folk, all backed up by his dead-on guitar playing. Tickets go on sale starting on March 25 after church services and will also be available at the door. Prices are $20 adults, $18 seniors and youth, $10 ages 10-18 and under 10 free. Please notify Sue McMillen if child care is needed by April 8.